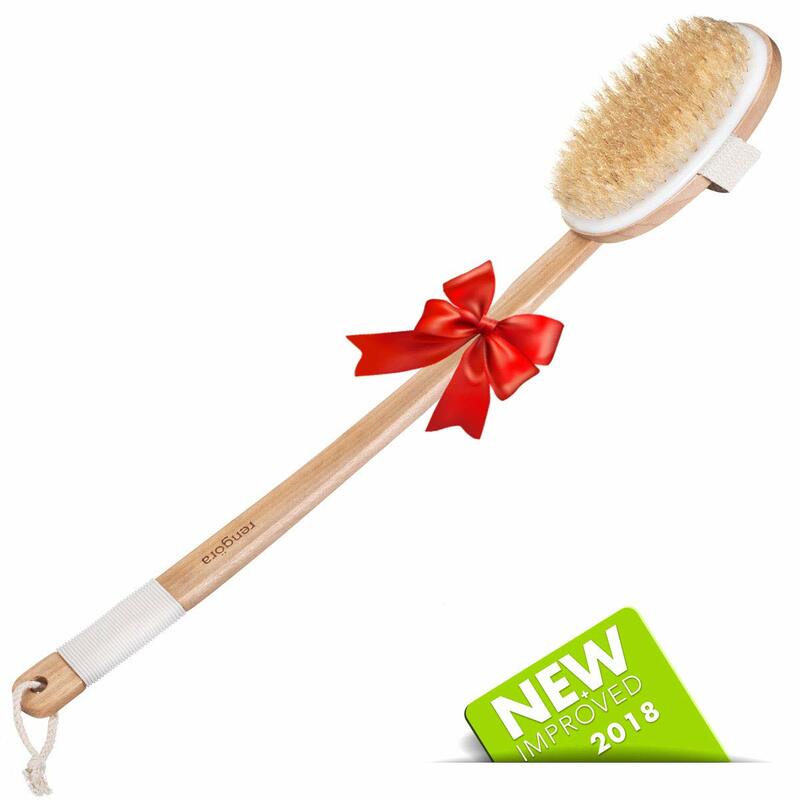 Each brush is produced latex-free and with antimicrobial rubber that protects from stain and odor causing bacteria, fungi, mold, and mildew. 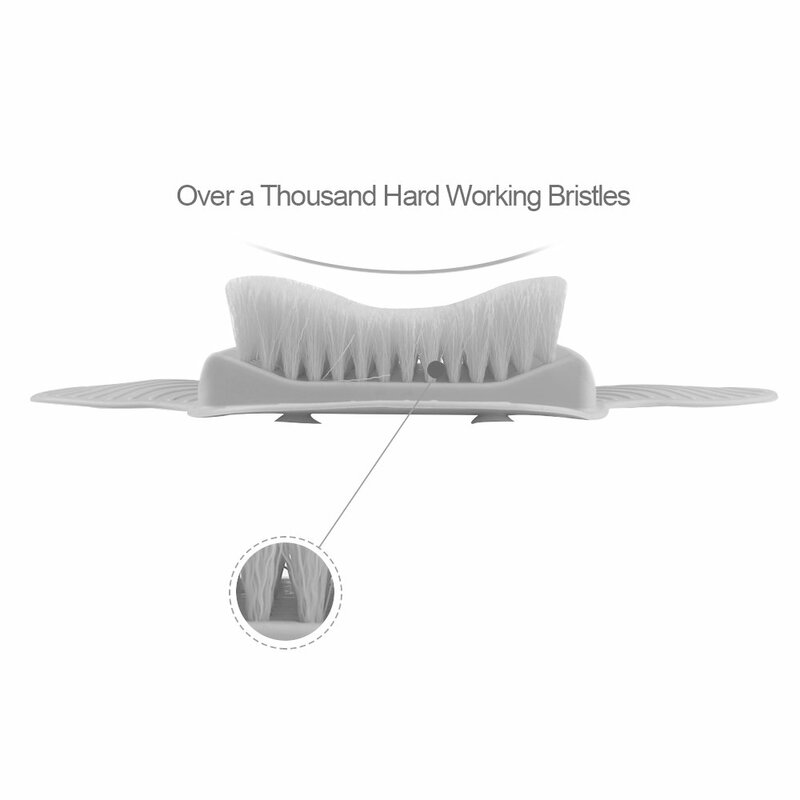 Each brush houses over a thousand firm bristles that is stiff. 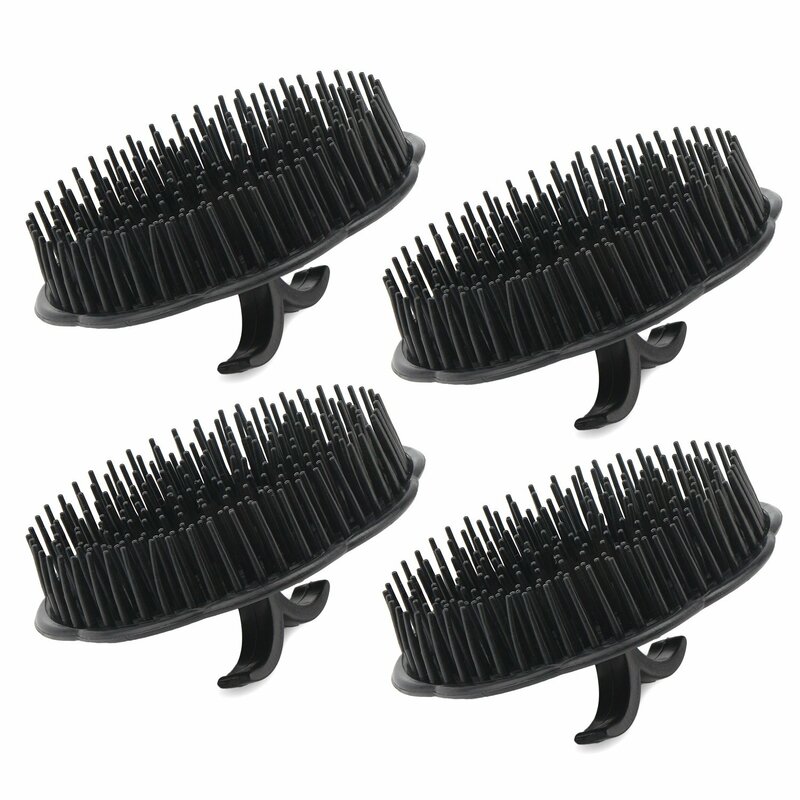 Each brush has 16 mini suction cups underneath that is best suited for flat shower or bath surfaces. 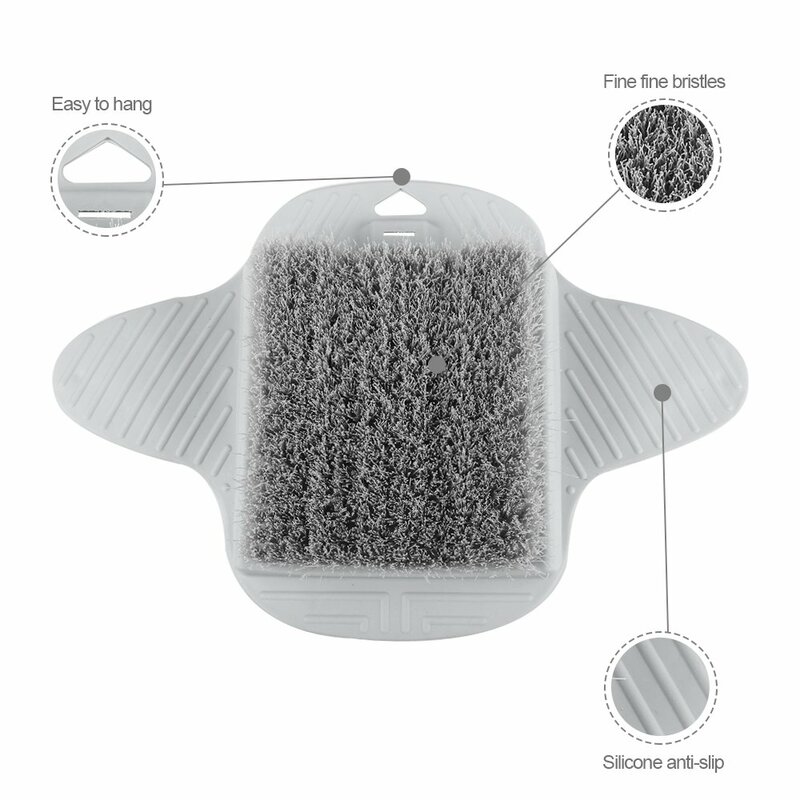 Each brush has two wing flaps for the opposite foot to stand on for stability while current foot is scrubbing. 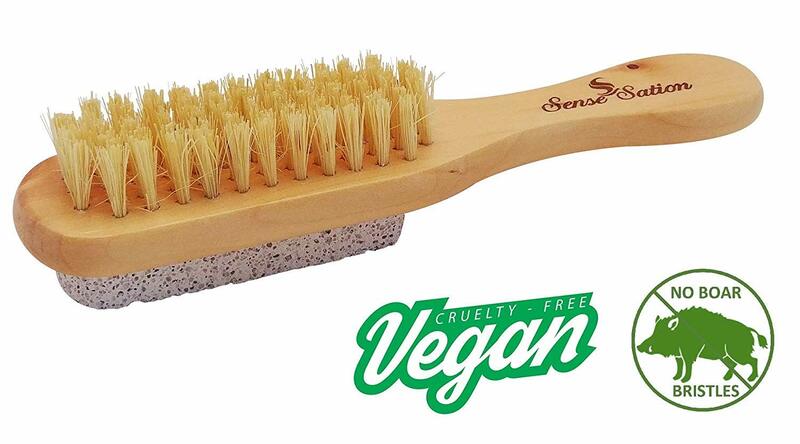 Each brush has a triangular slit to hang dry if you so choose. 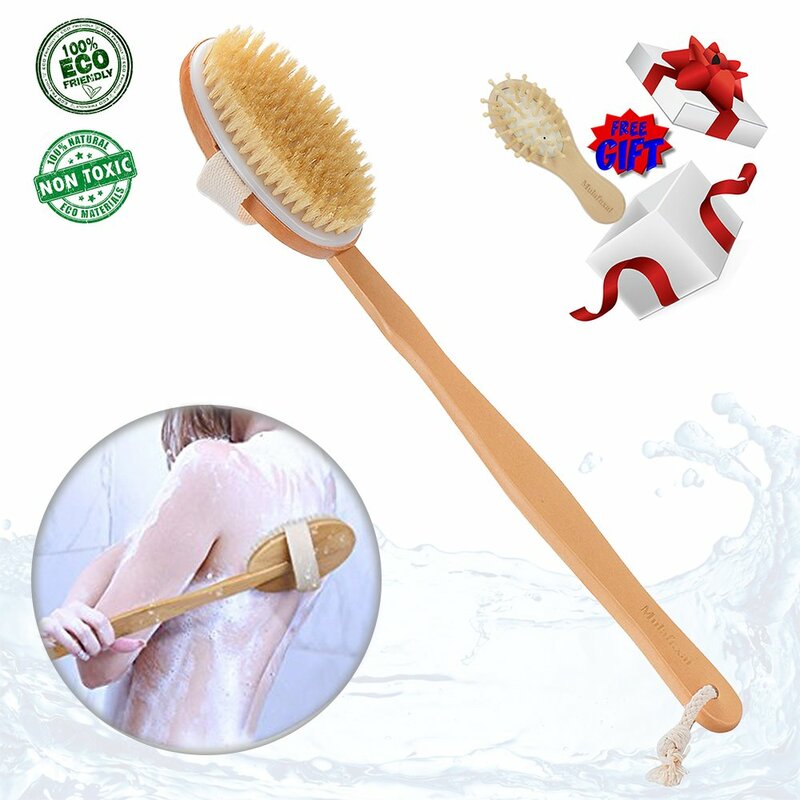 Brush is suitable for flat surfaces while bathing or showering. 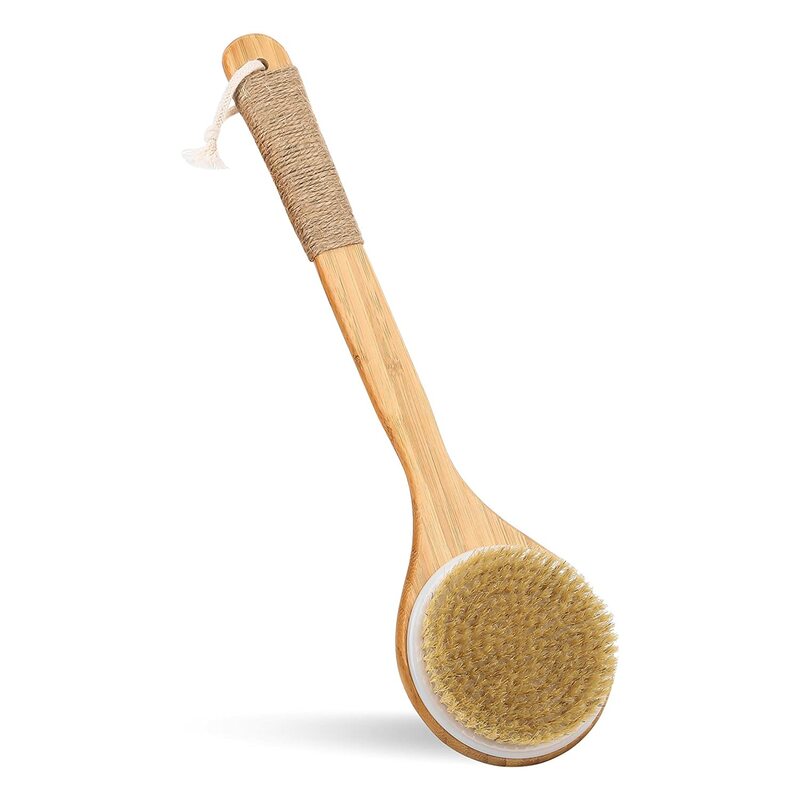 Brush can be used outdoors at the park, beach, and/or yard for easy cleansing of the feet. Place on flat surface; add a nickel size amount of liquid soap and water. 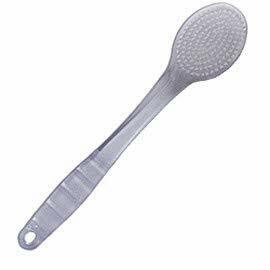 Place one foot on the bristles, and the other foot on the closest wing pad. Start scrubbing as lather will form. 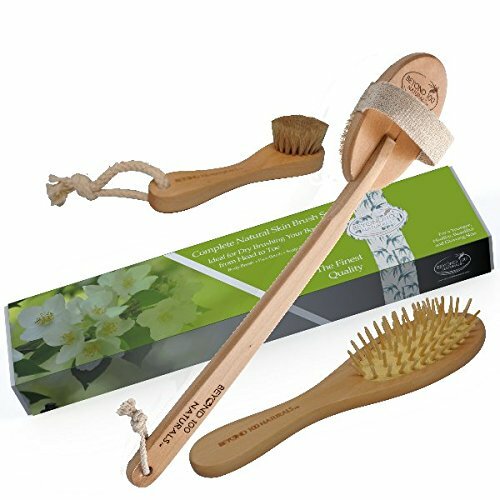 The bristles will effectively clean, exfoliate, stimulate, and massage your feet. 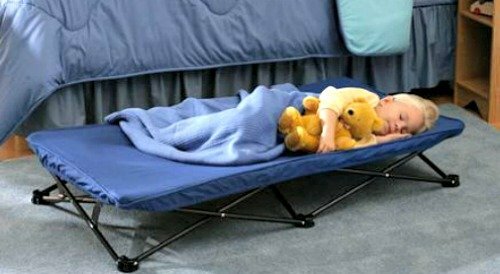 The simplicity of the design use will aid in anyone with back, hip, or knee problems. We often and not knowingly take our feet for granted. It is time to pay them back. Stimulate, increase, and promote the circulation and healing of the body as a bonus. Let’s give our feet a treat from all the tiring work they go through. we are consumers first and will always keep the consumers' mindset. Your satisfaction is #1 to us. If you have any questions or suggestions, please contact us via Amazon email. We are always here for you. 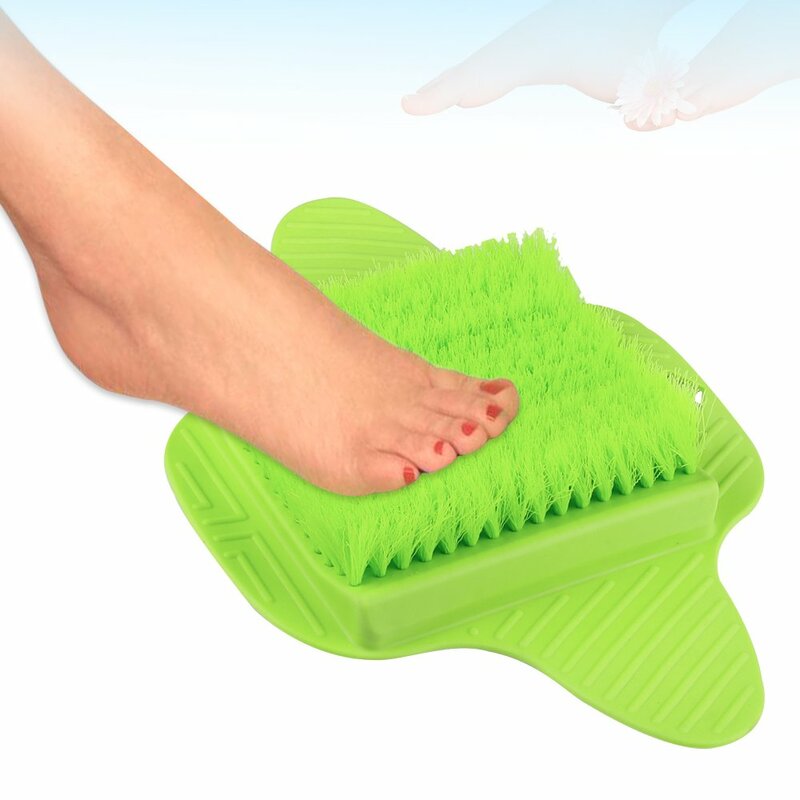 I absolutely love this foot scrubber. I walk Barefoot at the vast majority of the time, so you can imagine that my feet get really dirty. And it felt like no matter how much I scrub my feet with my wash rag my feet will still be black. 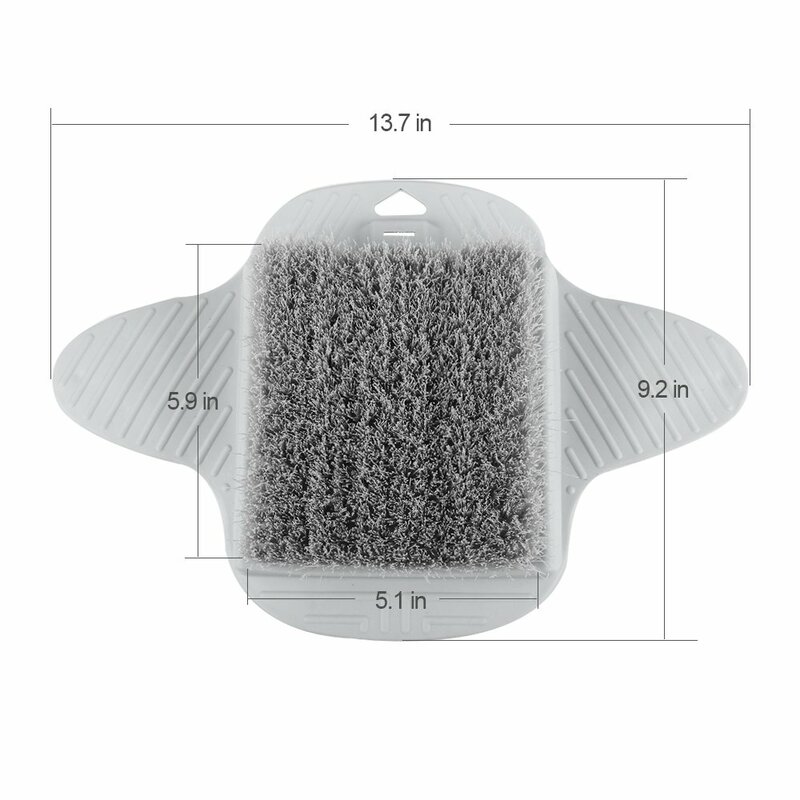 This foot scrubber cleans my feet so well that all that black dirt is off my feet. 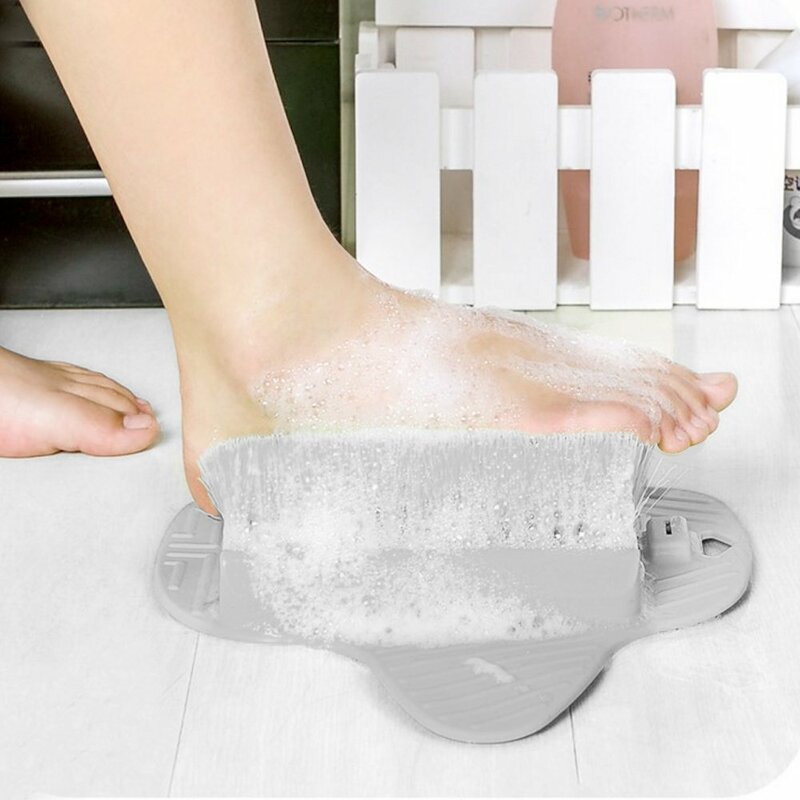 And every time I use it I feel like my feet is getting a little massage and I do have bad feet and it helps with the pain as well. I highly recommend this product to everyone. It does move around a tiny bit but it's not that bad at all. 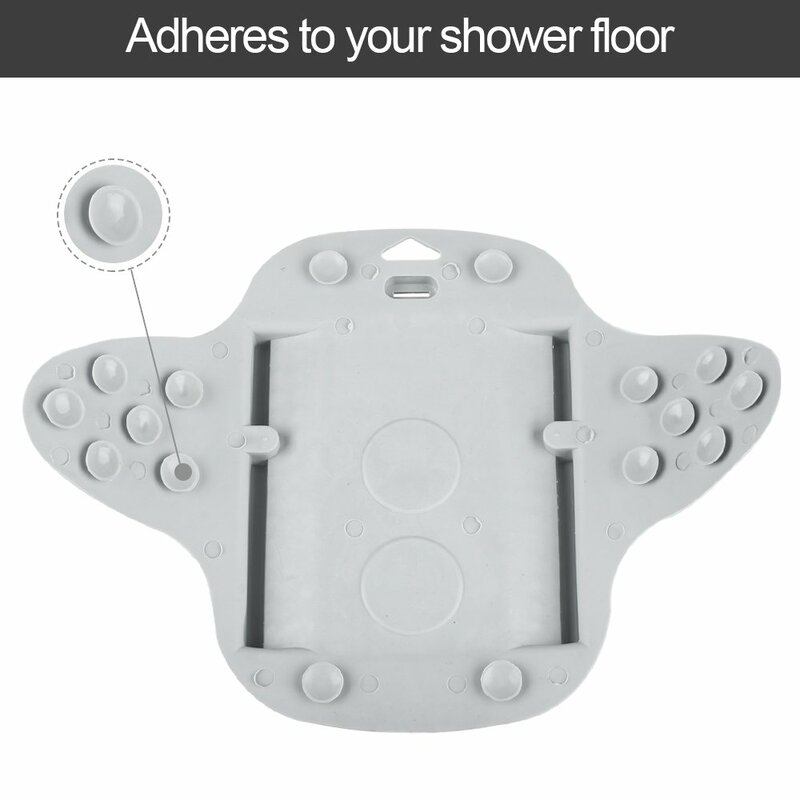 The suction cups do not work well but it really doesn't matter because the product is a good weight. I hope I am rating this as the highest, this item is just what I have needed for years. Works just fine. It does come loose from the tub occasionally but itu2019s not a problem for me. 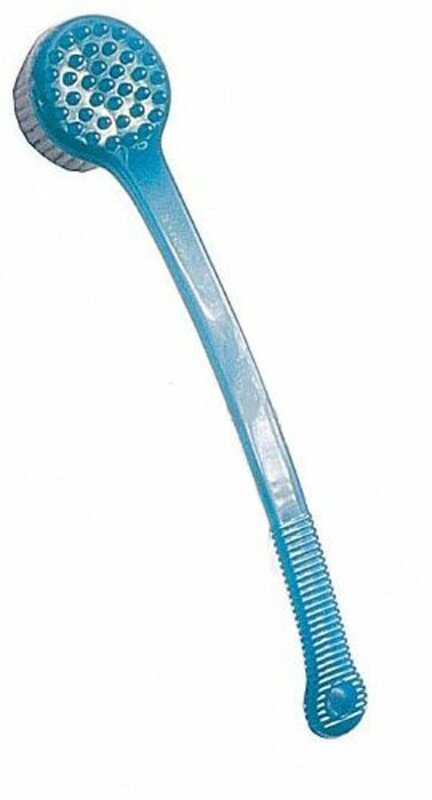 The bristles are hard but thatu2019s good cause itu2019s giving my feet a deep clean with out me having to balance on one foot. LOVE THIS PRODUCT!! I love being barefoot but no amount of sweeping and mopping can still keep my feet clean. By the time I go to bed, my feet need to be scrubbed lol. I love that I can just get in the shower and scrub my feet clean! 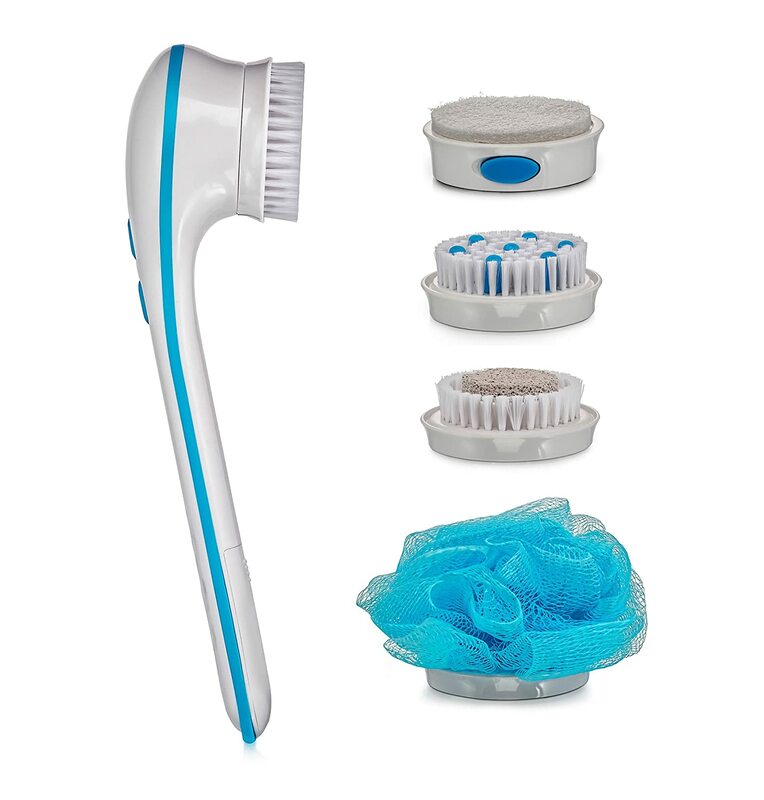 Unlike other reviews my scrubber stays put to my tub and works and feels great!! !